Presuming fear in people patronizes them and shows your weakness. Consider these moments where you might presume others are afraid. How does it make them feel? Comforted or demeaned? Presuming Fear Patronizes People. Image by Jester Sehested via Flickr. Image by Jester Sehested of TheDyslexicBook.com via Flickr Creative Commons License. Presuming fear is what others are feeling doesn’t necessarily comfort them. Listening clearly and learning the truth gives you the chance to interact and respond appropriately. Team members who think their teammates are afraid when they don’t want to do physically challenging team building exercises. Maybe they have medical conditions or physical limitations you don’t know about. Leaders who presume fear when team members want information and details before they move ahead. Maybe their work style is different from yours. People who presume fear when people prefer calm fun vs. wild fun. Maybe they just define fun differently from you! Friends who presume others are afraid of their dog when those folks simply don’t like dogs jumping up and licking them. The common retort, “Don’t worry … the dog won’t hurt you” shows that you live in your own reality. Presuming fear in others robs everyone of the chance for true connection and shared success. Connect and learn about people. You will also find opportunities to give them the kind of care they truly need. When have people wrongly presumed you were afraid? What was the result? 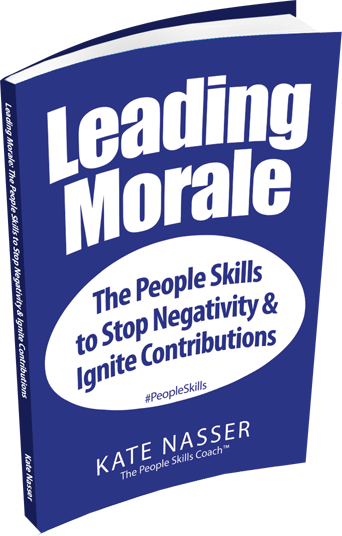 Stay tuned for my upcoming book Leading Morale! For advance notice on its publication, please leave a comment in the field below. I was just talking to someone about this today! We so often assume that we know, with 100% certainty, someone else’s experience. By doing that we lump every person into one big mush of sameness. It’s funny, we know that we each have our own unique thoughts and perspectives but forget that other’s do too – and they don’t need to convince us or prove to us that they’re valid. 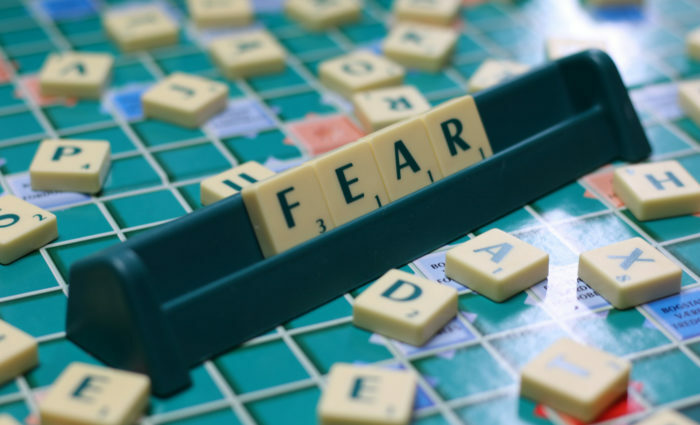 There are plenty of things other than fear that could be at play. Presuming, instead of asking and understanding, builds walls and reduces connection. This is an important post for people to read and ask themselves where they’re doing this to others. Many thanks Alli. You are right that anyone can fall into the trap of presuming they know what others are feeling. When we take time to become more self-aware, we can prevent these mistakes and improve our relationships.